We finally arrived in December, the month which from the astrological point of view, blows the big question: “What to expect from 2017?”, with the expectation that, since the year is changing, our lives will take a completely different turn too. It’s true that most of us are looking forward to the end of 2016, considering the enormous challenges we have been put through. Therefore a countdown in these days of December is only natural. It is also true that looking at the initial aspects of 2017, we realize that planetary energies are putting together movements of great mutual support, creating aspects that for us humans will highlight potential to exceed the inner and obviously collective conflicts. These are the Keywords of 2017 for each Zodiac Sign. Mind that the following are not forecasts, but the start input to make the first step in this transition to the New. In the sky of the New Year (01.01.2017, 00.00 hours UTC) Jupiter in Libra (pushed towards each other, to feel ready for a relationship) is in perfect sextile, which means, to the same degree (21 °), with Saturn in Sagittarius (Soul mission), which inspires us to turn the focus from the sentimental love, to a desire of uniting with ourselves, with the missing part, which is never outside of us. Finding oneself helps us to make space, peacefully and without expectations. This topic will be key throughout 2017 because it will be repeated at other times. Jupiter and Saturn are two powerful landmarks astrologically because together they stimulate the search for the Soul Mission and help us manifest it. In Opposition to Sextile Jupiter / Saturn, is Uranus in Aries in 20°, again with a rather specific aspect. It creates a mirror which reflects our needs and the motivations that drive us towards each other. Even to open our eyes and see the bare truth, unvarnished or pleasant as it is. In Quadrature Opposition Jupiter / Uranus is Pluto in Capricorn to 16 °. This time the appearance is fleeting, but it is interesting because it is the principle of forming a cross of the Cardinal Signs (Aries, Cancer, Libra and Capricorn), who are the pioneers, the Archetypes of absolute openness to what does not yet exists. The jump in 2017 takes place on a very trampoline that provides a nice bounce. Do you want to start from 0, delete the old, giving a clean slate of the past? This Cross activates the possibility. It’s up to us to follow the lead. 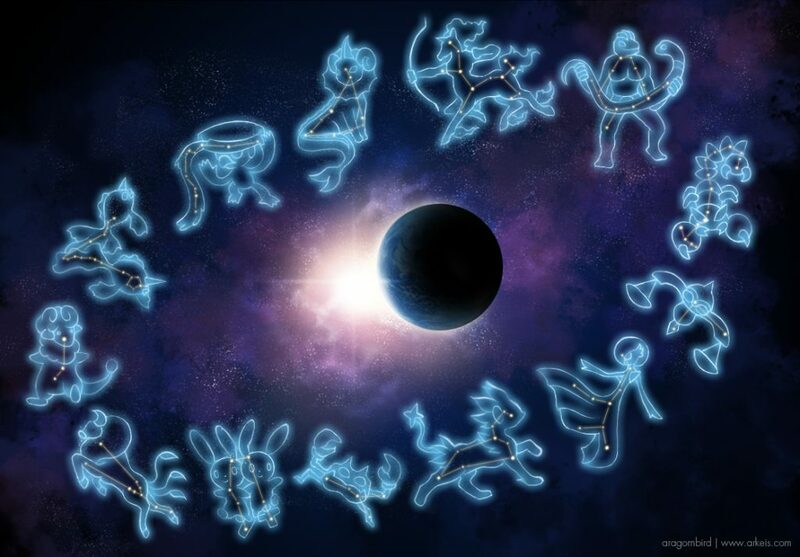 That said, let’s get to 12 Keywords for 12 Zodiac Signs, which are invitation and advice, description of a path and possible direction of life. From 2011 Uranus in the sign is helping you to realize your strength. You started to say no, stopping to make good at any cost. Now they have to finish the job. Put your serenity in front of everything. Out of a long period of transformation you finally begin to see the light. You deserve all the best, so do not say no to opportunities that will arise. Life is also joy. 2017 is the last year that Saturn is in opposition to your Sun. The Master has helped you to take on a determined and stable shape. You know yourself better and have a clearer idea on how to design a constructive future. This is Strength. You have reached a serene location, devoid of the usual anxieties. The fear is thus resized and you can peacefully enjoy what comes. This year begins the downward phase of the transit of Pluto in opposition. Enjoy life! You survived to 10 years of hard struggle with Life, 2016 was the year of revenge. In 2017 you can fix the last slopes, bringing a lasting peace within the heart regarding the past. Feel comfortable wherever you are. Look in the mirror and be proud of yourself! You have fought valiantly to stay in the course during the most difficult storms. Every step taken has created a good basis for self-esteem. Now discover your true value. As described above, a period that will have a big impact on your sentimental life, is ahead of you. You will have the opportunity to overcome illusions, disillusions, expectations and projections. After that you’ll be able to tell what true love is. The 02/13/2017 Lilith ends its transit through your sign, freeing your shoulders from the weight of a face-to-face confrontation with the shadow and its discomfort. From that moment you will feel like you are resurrected into a new life, more vital and dynamic. 2017 is marked by the transit of Saturn to the joint Lilith, an aspect that gives opportunity to get to tap unexplored boundaries of your Essence. Keep the Mind and the Heart open to everything you’ll face. From 2009 you have subject of slow inner workings promoted by transiting Pluto in the sign until 2023. The 2016 was the watershed year, and now awaits the phase of re-consolidation of the missing pieces. Walk towards the unity. 2017 is divided into two stages for you. In the first one do a budget to see what is missing, in the second you decide how to move to go and and get it. It’s a call that starts from the bottom and exceeds the mental elements that keep you away from love. 2016 has been a year of momentous closures. You have placed yourself in the game until the end, demonstrating considerable courage in you to almost strip away a layer of skin. Now go back to the innocent child state, to look at the world with new eyes.